Putting new shocks on your Nissan Hardbody Pickup will affect the way your Nissan Frontier rides. 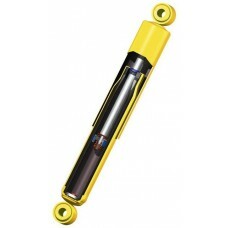 Here you will find various shocks suited for off road and overland driving in your Nissan Hardbody. Fits years 1969, 16970, 1971, 1972, 1973, 1974, 1975, 1976, 1977, 1978, 1979, 1980, 1981, 1982, 1983, 1984, 1985, 1986 The Rancho RS5000 is the shock that started it all. The shock of choice for lig.. Fits years 1986, 1897, 1988, 1989, 1990, 1991, 1992, 1993, 1994, 1995, 1996, 1997 The Rancho RS5000 is the shock that started it all. The shock of choice for light trucks and SUVs since 1985.Featur.. Fits years 1969, 1970, 1971, 1972, 1973, 1974, 1975, 1976, 1977, 1978, 1979, 1980, 1981, 1982, 1983, 1984, 1985, 1986 The Rancho RS5000 is the shock that started it all. The shock of choice for ligh.. Fits years 1986, 1987, 1988, 1989, 1990, 1991, 1992, 1993, 1994, 1995, 1996, 1997 The Rancho RS5000 is the shock that started it all. The shock of choice for light trucks and SUVs since 1985. Feat.. Fits years 1986, 1987, 1988, 1989, 1990, 1991, 1992, 1993, 1994, 1995, 1996, 1997 The Rancho RS9000XL features Rancho Red Polyurethane Bushings, chrome rod, liquid metallic body, nitrogen gas charge.. Fits years 1986 (Jun-Dec), 1987, 1988, 1989, 1990, 1991, 1992, 1993, 1994, 1995, 1996, 1997 Bilstein 4600 Series shocks and struts are designed to help your truck, van, or SUV reach its pinnacle in .. Fits years 1983, 1984, 1985, 1986 The Rancho RS5000 is the shock that started it all. The shock of choice for light trucks and SUVs since 1985. Features 10 stage velocity sensitive valving, twin t.. Fits years 1986, 1987, 1988, 1989, 1990, 1991, 1992, 1993, 1994, 1995, 1996, 1997 The Rancho RS5000 is the shock that started it all. The shock of choice for light trucks and SUVs since 1985. Featu.. Fits years 1980, 1981 The Rancho RS5000 is the shock that started it all. The shock of choice for light trucks and SUVs since 1985. 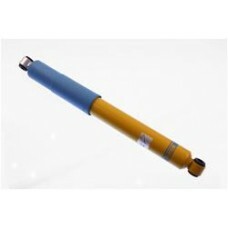 Features 10 stage velocity sensitive valving, twin tube cellular .. Fits year 1982 The Rancho RS5000 is the shock that started it all. The shock of choice for light trucks and SUVs since 1985. Features 10 stage velocity sensitive valving, twin tube cellular gas des.. Fits years 1983, 1984, 1985, 1986 The Rancho RS5000 is the shock that started it all. The shock of choice for light trucks and SUVs since 1985. Features 10 stage velocity sensitive valving, twin tu.. Fits years 1983, 1984, 1985, 1986 The Rancho RS9000XL features Rancho Red Polyurethane Bushings, chrome rod, liquid metallic body, nitrogen gas charged, and includes the plastic boot. Compatible wit.. Fits years 1986, 1987, 1988, 1989, 1990, 1991, 1992, 1993, 1994, 1995, 1996, 1997 The Rancho RS9000XL features Rancho Red Polyurethane Bushings, chrome rod, liquid metallic body, nitrogen gas charged.. 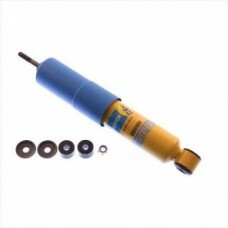 Fits year 1994Bilstein 4600 Series shocks and struts are designed to help your truck, van, or SUV reach its pinnacle in performance and handling, while still providing a comfortable, stable ride. Comp.. Fits years 1986, 1987, 1988, 1989, 1990, 1991, 1992, 1993, 1994, 1995, 1996, 1997 This relationship between vehicle weight and suspension is where Old Man Emu gets its name - the emu is a large Austr.. Fits years 1986, 1987, 1988, 1989, 1990, 1991, 1992, 1993, 1994, 1995, 1996, 1997 it may be necessary to slightly increase the clearance in the front wishbone to allow shock absorber to fit. Do not mo..